AN overworked emergency room doctor and the head of the national airline are among the roll call of our best and brightest recognised in this year's Queen's Birthday Honours List. Qantas chief Alan Joyce joined actor Cate Blanchett among just 15 people named Companions of the Order of Australia (AC), a list that also includes economist Ross Garnaut and molecular biologist Professor John Shine. Mr Joyce was named a Companion for service to the aviation industry and "gender equity, inclusion and diversity". An Australian citizen since 2003, the Irish-born executive said he was "truly honoured" by the award, which he dedicated to the entire Qantas workforce. Actress Cate Blanchett, AC, and Qantas CEO Alan Joyce, AC. "(This award) recognises the work of thousands of people who make Qantas an institution that Australians can rightly be proud of," Joyce said. "It's a privilege to promote this country to the world through transport." 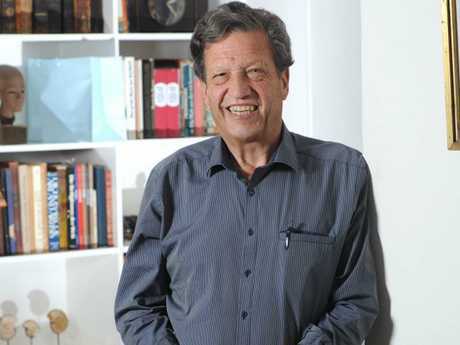 Longstanding Daily Telegraph columnist and St Vincent's Hospital emergency department chief Gordian Fulde said "it didn't seem real" to be named an Officer of the Order of Australia. "Not when there are so many other deserving people out there," he said. "I really see it as a reflection of so many people around me." Professor Fulde said that his job on the frontline of the nation's busiest emergency department had made him long for a kinder society. "If I have a little message it's this: our society seems very isolated and selfish at the moment," he said. "If we could all take a little time out and be a bit nicer to one another, there'd be less work for the emergency department." Professor Ross Garnaut was named a Companion for his "eminent service to the community as a leading international economist in the area of energy efficiency and climate change policy". "It's nice to have that recognition for the hard work done with a lot of good people and particularly on energy and climate change over the last 10 years," he said. Western Sydney community leader Dr Jamal Rifi has been named a Member of the Order (AM) for his work as an advocate for multi-faith relations, while election analyst Antony Green was made an ­Officer of the Order (AO) for "interpreting Australian democracy". Since their establishment in 1975 as a homegrown honours system, Order of Australia gongs have been conferred on more than 50,000 Aussies for "outstanding service or exceptional achievement". Ross Garnaut, AC, left, and Dr Jamal Rifi, AM. This year's Order of Australia list includes 673 General Division appointments - 467 men and 206 women - and another 218 meritorious and military awards. 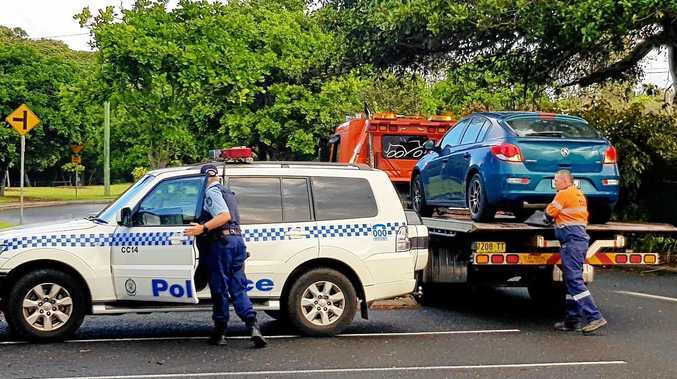 Australian Federal Police's Detective Superintendent Kirsty Ann Schofield - in charge of the $130 million ATO tax fraud investigation - was honoured with an Australian Police Medal for her work. 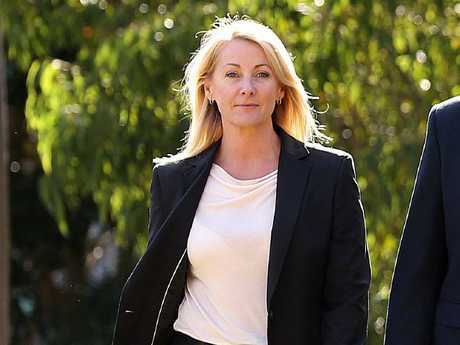 Supt Schofield, also a senior investigator on the anti-terrorism Operation Appleby team in 2014, said the support of her husband and three children had been "key to her success". Detective Superintendent Kirsty Ann Schofield, Australian Police Medal. Order of Australia Council chairman Sir Angus Houston said the awards recognised the "quiet achievers" among us. "By their actions they demonstrate the qualities of positive role models," Sir Angus said. "The recipients are not only worthy of respect but encourage emulation. "They are people who serve the community, but do not seek accolades." SHE'S renowned as one of the most talented actors and Cate Blanchett shows no sign of slowing down any time soon. Now, the two-time Oscar winner can call herself a Companion of the Order of Australia. The 48-year-old has been honoured for services to the performing arts as an actor, artistic director and as a role model for young performers and women. She has also been lauded for her charity work. The stage and screen veteran has been winning accolades, and rewriting record books, since she took home the Sydney Theatre Critics' Best Newcomer Award in 1993 for her performance in Kafka Dances. Blanchett is the only Australian to win two Oscars for acting (Best Supporting Actress for The Aviator in 2004 and Best Actress for Blue Jasmine in 2014). Blanchett ran the Sydney Theatre Company with her husband Andrew Upton from 2008 to 2013, during which time she appeared as Blanche DuBois in an internationally acclaimed production of A Streetcar Named Desire with Joel Edgerton. A passionate supporter of environmental causes, she was made an honorary life member of the Australian Conservation Foundation in 2012, and a global Goodwill Ambassador for the UN Refugee Agency in 2016. IT'S been said Sony Music Australia boss Denis Handlin has probably brought more music to Australians than any other person alive. The music industry veteran has spotted and nurtured a who's who of Australian musical talent, from Jessica Mauboy to John Farnham. Handlin said he was "humbled" to be named an Officer of the Order of Australia. "It's truly a great honour to receive this recognition," the father of six said. "I really didn't expect it and, for me, it really is one that recognises the brilliant artists and great teams I have worked with over the years." Denis Handlin, Chairman and CEO of Sony Music Entertainment, with Delta Goodrem. In the late 1990s Handlin auditioned a young Delta Goodrem in Sydney and recalls being "totally blown away with her talent and great gift at such a young age". "In fact she had me at hello and I signed her on the spot," he said. Goodrem paid tribute to her friend, saying "having him by my side throughout my career has been nothing short of incredible". "I am so proud to hear the news," she said of his honour. Handlin, who started out at the Brisbane warehouse of CBS records in 1970, was honoured for his work in the music industry and for charity work. FASHION designer and trailblazer Collette Dinnigan is elated with her gong, saying "it hasn't sunk in yet". "It's an honour, it's huge," Dinnigan said. She said the recognition was a surprise and one of the biggest things to have happened to her. Fashion designer Collette Dinnigan, AO..
"Australian wool has gone from strength to strength," she said. "I think in the long run, people will want things locally made things and craftsmanship." Dinnigan bowed out of high fashion in 2013 to spend more time with her two young children. She has since designed a range for Target and clothes for young girls for Aldi. LIEUTENANT-General Angus Campbell is best known as the man behind the Abbott government's "stop the boats" border protection program. But the "soldier's soldier" is renowned in military circles as a strategic reforming leader and talented Chief of Army. 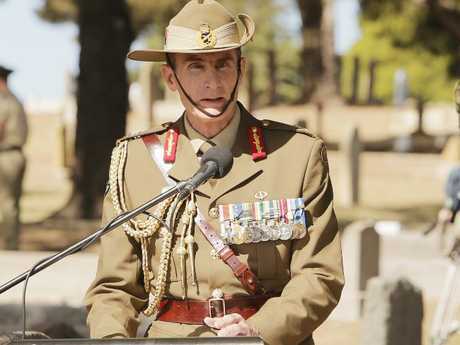 In recent years, the former SAS squadron leader has commanded ADF troops across the Middle East, including Afghanistan, and has set about modernising and restructuring the Army. The Chief of the Army, Lieutenant General Angus Campbell, AO. His AO citation noted his "exceptional intellect and vision" in uniquely challenging leadership roles. DEBORAH MAILMAN: For a new generation of indigenous actors, Deborah Mailman has been their North Star - shining bright and leading the way, over the 25 years of her brilliant TV and film career. The Mount Isa-born, QUT graduate has been a fixture on stage and screen - honoured today with an Order of Australia medal, for her significant service to the performing arts as an actor, as a role model for indigenous performers, and to the community. Now the director's decades of work have been recognised with a Queen's Birthday honour.